8. 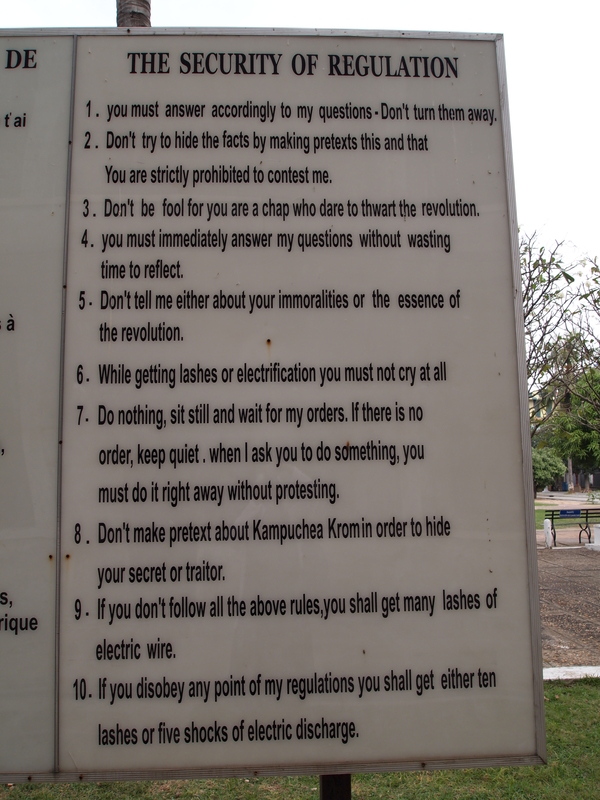 Don’t make pretext about Kampuchea Krom* in order to hide your secret or traitor. 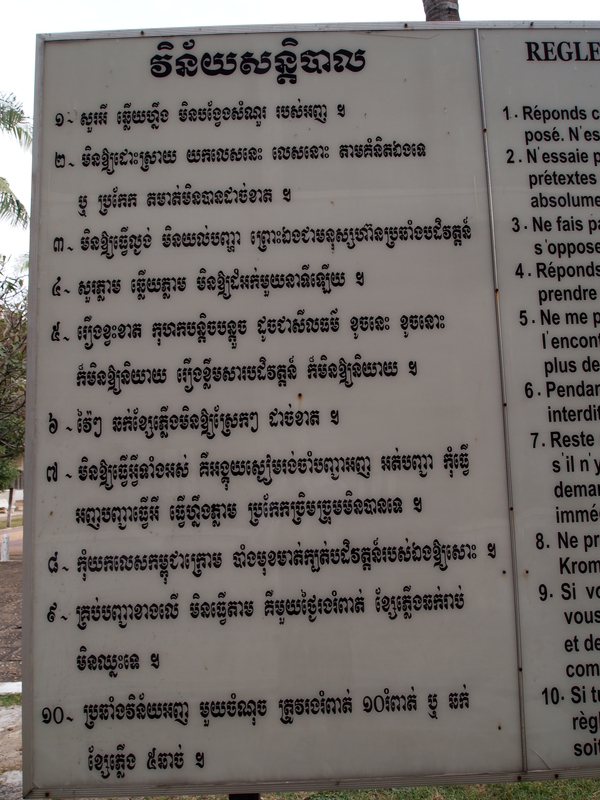 *Kampuchea Krom was the southernmost territory of the Khmer empire, once known as French Cochinchina. It is now the southwestern part of Vietnam. 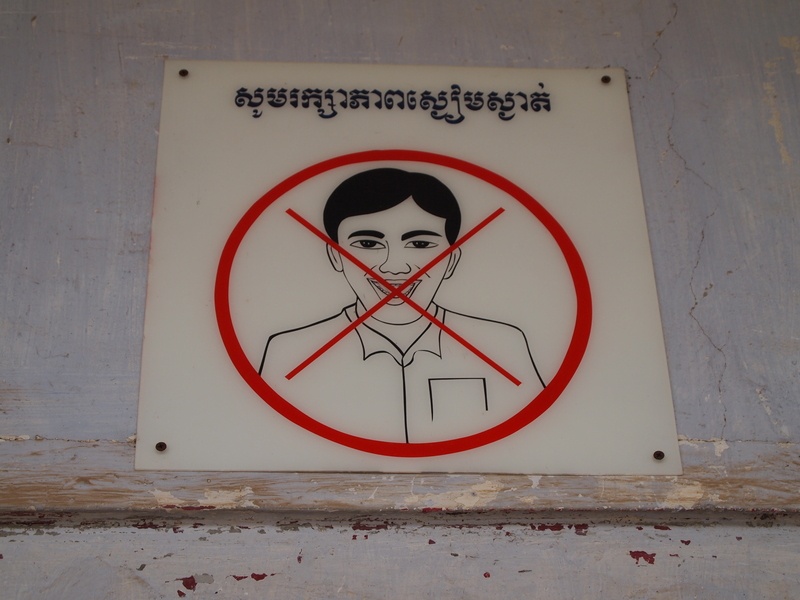 Besides the Vietnamese, there are other people living in Kampuchea-Krom, including the Chinese, the Chams, the Mountgards, and many other small ethnic groups. In addition to these rules, I see a sign of a big smiling face with a big red X across it. Does this mean you can’t laugh, you can’t talk? You can’t be human? Here in this place, all humanity was stripped away. People ceased to be seen as people.